Not as quiet as you would expect. The Kral Puncher Mega is a solid, reliable and consistent PCP air rifle. 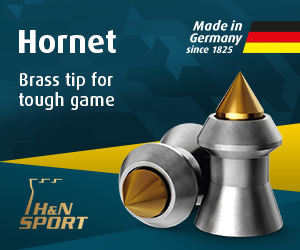 It lends itself well to hunting and delivered excellent accuracy in HAM testing with mid-weight domed lead pellets. 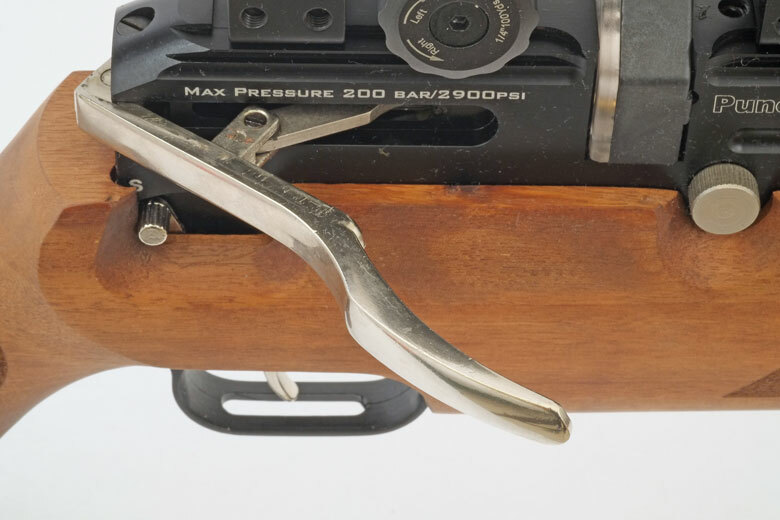 It easily earns a HAM Bronze Award, but is held back by the poorer than expected trigger, heavy sidelever cocking and rather high noise level. 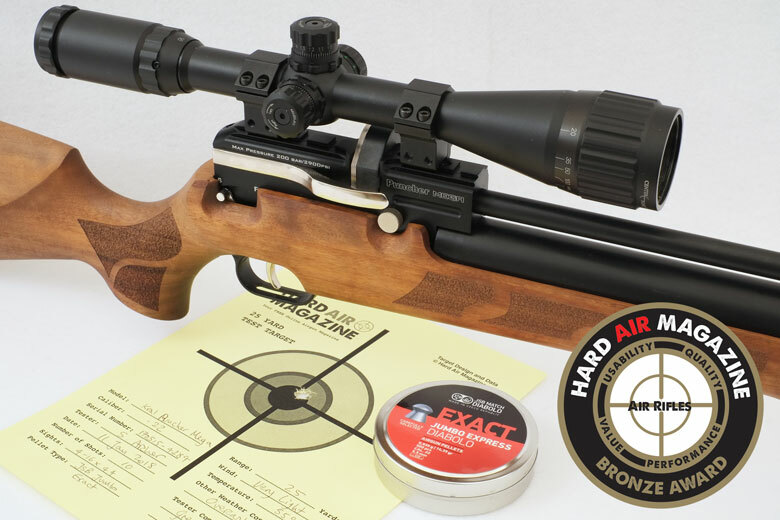 This would be a great hunting PCP air rifle for the owner who likes to tinker with his/her air rifle, loves re-finishing stocks and will always try to improve the trigger, however it's set by the factory. 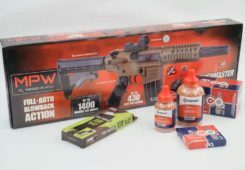 At a Street Price of $549.99, the Kral Puncher Mega tested by HAM is priced competitively alongside PCP air rifles from some major names like Hatsan, Benjamin and Air Force. 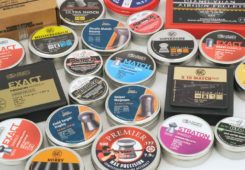 These are tough competitors to face, but the Kral Puncher Mega offers a lot of value, as well as being just a little different from the more well-known brands. Accuracy of the Kral Puncher Mega tested by HAM was excellent with the right pellets. It’s not regulated, yet gives a good, fairly flat, shot count. It’s powerful, yet not as fast as the manufacturer claims. The trigger is heavy and indistinct. 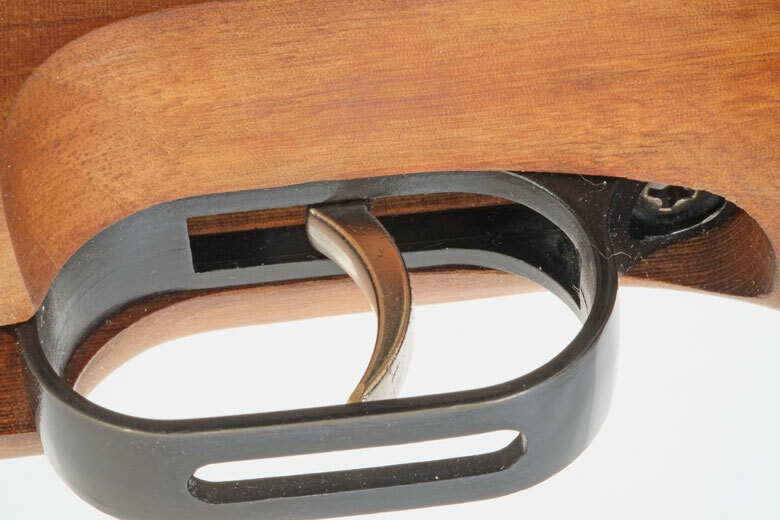 The side lever action, for example, is usually a sign of a high end PCP air rifle. However, side lever actions are usually a lot smoother than this. The noise-reducing shroud is a great feature, but it’s not very well implemented. The walnut stock probably could look very good, but it seems as if the final finishing stage was missed. There’s a very nice rubber buttpad, but no adjustable cheek piece to the stock. Overall, the HAM Team feels that the Kral Puncher Mega could be a great buy for the right person. 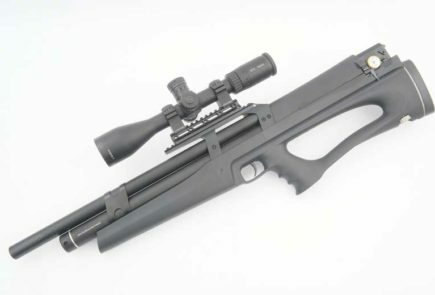 If you’re interested in an accurate PCP air rifle for hunting, don’t need it to be especially quiet, are happy with the weight and like to give your wood stock some “love and attention”, this would be a good choice. Value For Money Accurate PCP with a good shot count. Best Pellet Tested JSB Jumbo Exact. Street Price at Time of Test $550+ scope. $650 as tested. The Kral Puncher Mega tested by HAM produced a maximum Muzzle velocity of 1087 FPS using the 9.7 Grain Gamo Raptor Platinum alloy pellets. 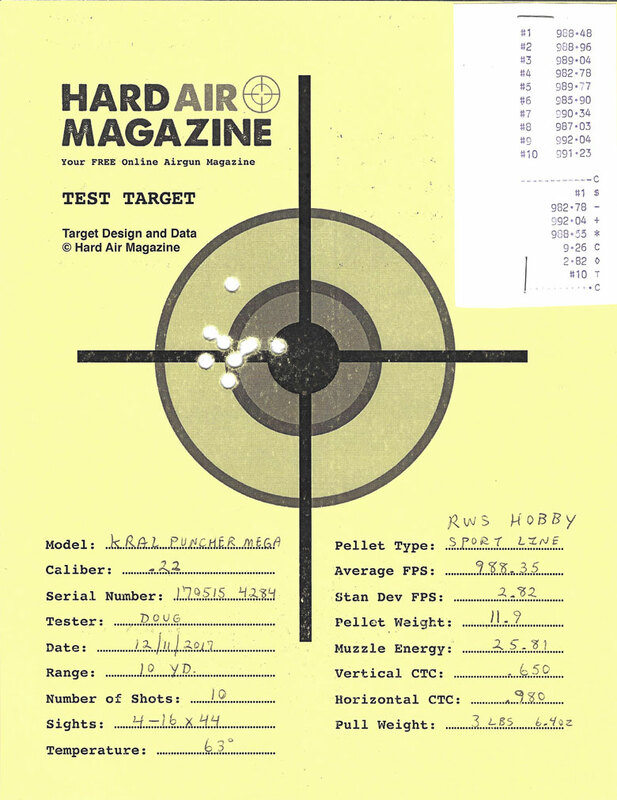 The highest FPS recorded with lead pellets was 988 FPS, using the 11.9 Grain RWS Hobby pellets, of course. As is frequently the case with powerful PCP air rifles, accuracy leaves a lot to be desired with the lighter pellets, however. 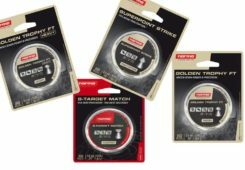 Once the 14.3 Grain Crosman Premier Hollow Point pellets were reached, accuracy improved significantly. The best accuracy we recorded was using JSB Jumbo Exact 14.35 Grain pellets. The H&N Baracuda Match pellets ran it a very close second, however! As usual, we shot a a 25-Yard test target as a standard part of this review. The result was outstanding accuracy, as you can see below. 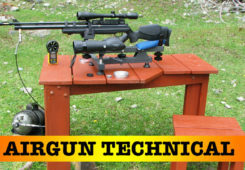 Muzzle Energy as tested was in the 27 – 28 Ft/Lbs range with mid-weight or heavy .22 caliber pellets, as you can see in the table below. As always, we tested the Kral Puncher Mega on the full power setting. Gamo Raptor Platinum 9.7 Grain 1087.72 FPS 25.48 Ft/Lbs Poor. H&N Field Target Trophy Green 10.03 Grain 1069.28 FPS 25.47 Ft/Lbs Poor. RWS Hobby 11.9 Grain 988.35 FPS 25.82 Ft/Lbs Poor. Crosman Premier HP 14.3 Grain 928.03 FPS 27.35 Ft/Lbs Very Good. JSB Jumbo Exact 14.35 Grain 935.54 FPS 27.89 Ft/Lbs Excellent. Best Tested. H&N Field Target Trophy 14.66 Grain 924.27 FPS 27.81 Ft/Lbs Excellent. H&N Baracuda Match 21.14 Grain 781.92 FPS 28.70 Ft/Lbs Excellent. Trigger pull weight of the Kral Puncher Mega tested by HAM averaged 3 Lb 8 Oz. This is heavier than the HAM team likes, or expected. The trigger blade itself is nicely shaped and comfortable. However, the trigger pull is quite long and indistinct. We found it difficult to detect the first and second stages, while the point of release was not sharply-defined. 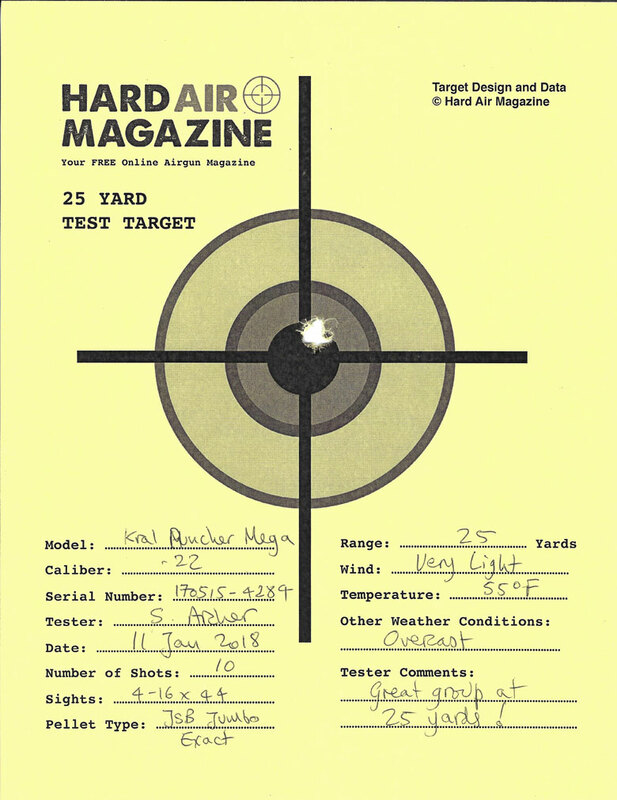 As always, we tested the Kral Puncher Mega with the trigger setting “as received”. 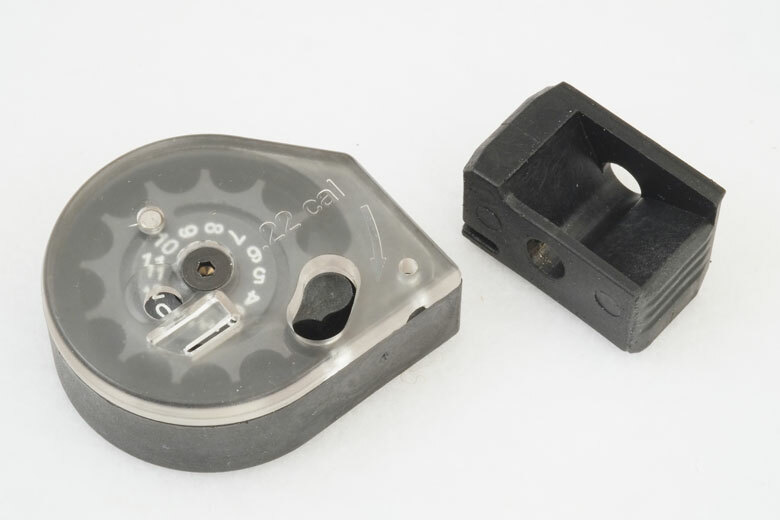 We’d have to say that this trigger would probably be OK for a hunting gun, however it would definitely require some improvement for serious target shooting. 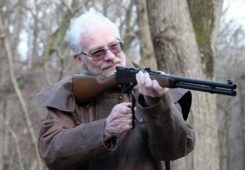 The side lever action was also heavy and stiff to operate. It works, but the overall effect of the trigger and cocking system is probably best described as “workmanlike” rather than “buttery”. 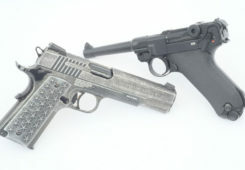 Both trigger and cocking lever are finished with a shiny, chromed surface. 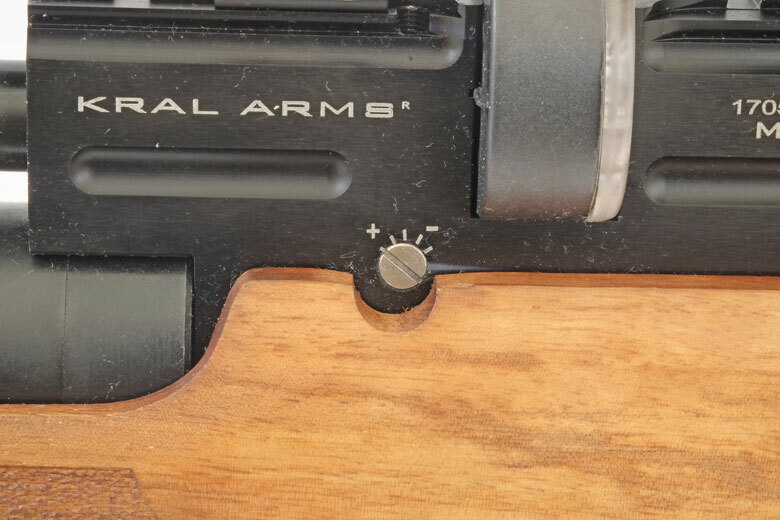 This makes it quite easy for the shooter’s fingers to slide off of the side lever, in particular. The result we achieved on a couple of occasions was a double feed. Some ridging or other surface improvement would be needed to overcome this issue. 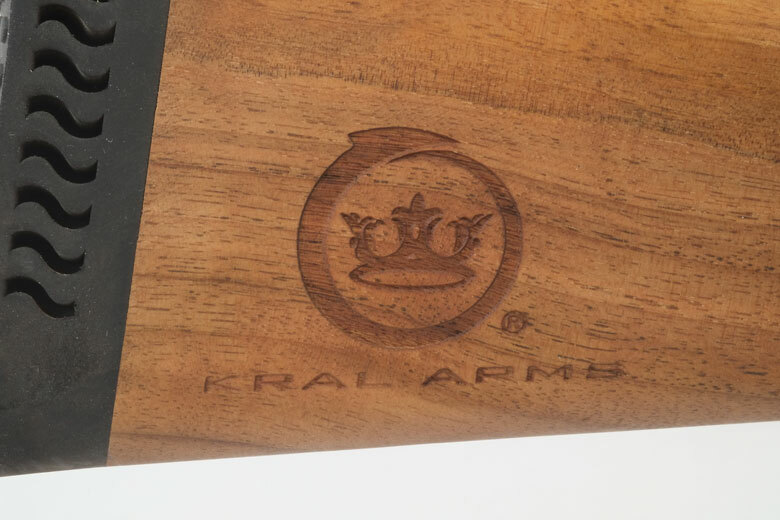 The manufacturer lists the performance of the Kral Puncher Mega in .22 caliber as having a Muzzle Velocity of 1050 FPS with 18.13 Grain JSB pellets. The example tested by HAM was shooting around 100 FPS slower than the factory numbers. This was also reflected in the manufacturer’s Muzzle Energy claim of 44.3 Joules – 32.67 Ft/Lbs. Again, the Kral Puncher Mega tested by HAM gave results well below that claim, although the power level of 27 – 28 Ft/Lbs was not bad in itself. 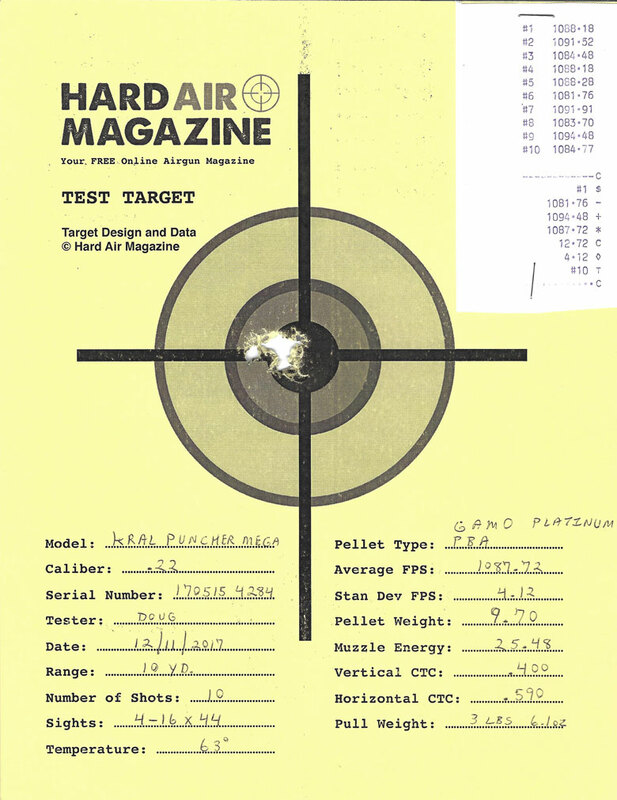 The Pyramyd Air website claims 60 shots per fill for the Kral Puncher Mega in .22 caliber. This is pretty well matched, as is shown by the chart in our Consistency section below, where 60 shots are achieved with an Extreme Spread of about 20 FPS. As an unregulated PCP air rifle, the Kral Puncher Mega has a somewhat parabolic shot curve. However, it has to be said that shot consistency is actually quite good for an unregulated gun. The valve is pretty well balanced for power over about 60 shots. 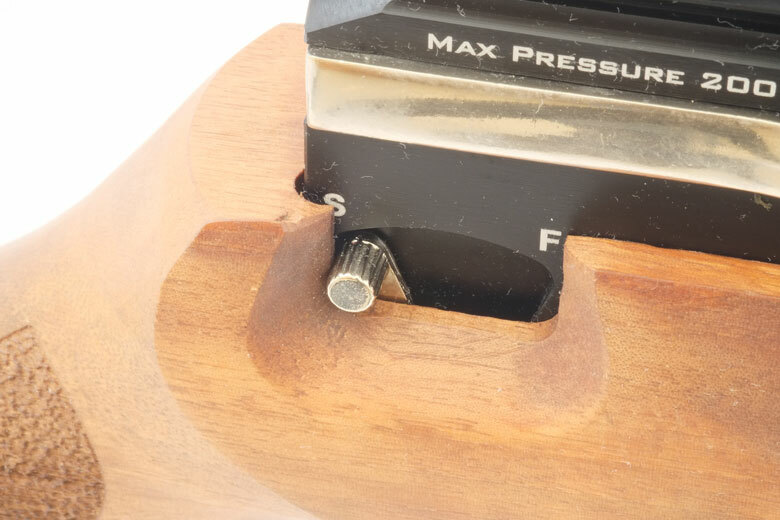 The trigger pull weight of the example tested by HAM also displayed good consistency. The pull weight varied by only minus 2 Oz and plus 6 Oz around the 3.5 Lb average pull weight. Also, the Standard Deviation (measure of shot-to-shot consistency in a string) was also very good for the Kral Puncher Mega tested by HAM. The average across all the standard HAM test pellet suite was just 4.54 FPS. This is probably the lowest Standard Deviation we’ve ever recorded in HAM testing. That’s very good! 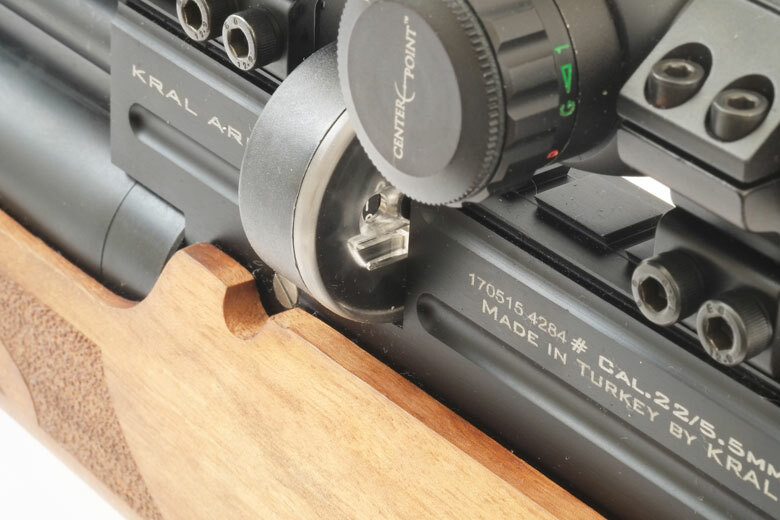 The Kral Puncher Mega tested by HAM was fitted with a shroud – as you can see from the photographs. However, this was not desperately effective. This gun was quite loud It compared to unshrouded PCPs of similar power in our side-by-side but subjective testing. 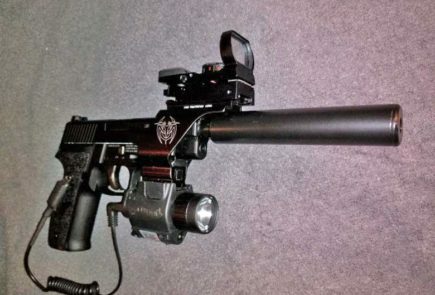 This is nothing like Marauder quiet and its backyard-friendliness is somewhat in doubt. Note that the Kral Puncher Mega is also available unshrouded at a saving of $50.00. If you’re not worried about noise levels, this could be a worthwhile saving. As you would expect, the Kral Puncher Mega is not supplied with a bundled scope. There’s no iron sights either. This is, however, one of those guns with a hybrid mounting rail system machined into the breech. It accepts both airgun rings and and looks as if Weaver/Picatinny rings will fit too. However Pyramyd Air recommends against using Weaver mounts and HAM agrees. This is good and there is plenty of rail length to provide mounting flexibility. However, the magazine projects out from the left side of the breech. This would certainly conflict with most scope sidewheels. So if you’re planning to use the Kral Puncher Mega with a sidewheel scope and a magazine, you’ll need to check this out carefully. The single shot tray will not interfere with a sidewheel. However, this is really set-up only for right-handed loading. The Kral Puncher Mega is not a light air rifle. The HAM test gun, with scope mounted, weighed-in at exactly 10 Lbs. The balance is good, however, and the weight does not feel overwhelming. But sling swivels would be a big advantage. You’ll want to add these yourself if you plan to carry the gun for long distances out of a case – when hunting, for example. The Puncher Mega uses standard Kral magazines. These look similar to most other spring-operated, rotary airgun magazines. However, they are loaded “backwards” – that is round end first – into the breech. If you’re used to the Marauder – as many of us are – this is completely counter-intuitive. At first at least. HAM Tester Doug Rogers adapted well to this magazine insertion method. 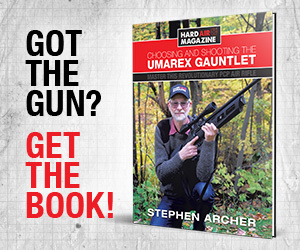 HAM Publisher Stephen Archer still hasn’t mastered it without a lot of trial and error! The Kral magazines have a larger capacity than many and they work well. 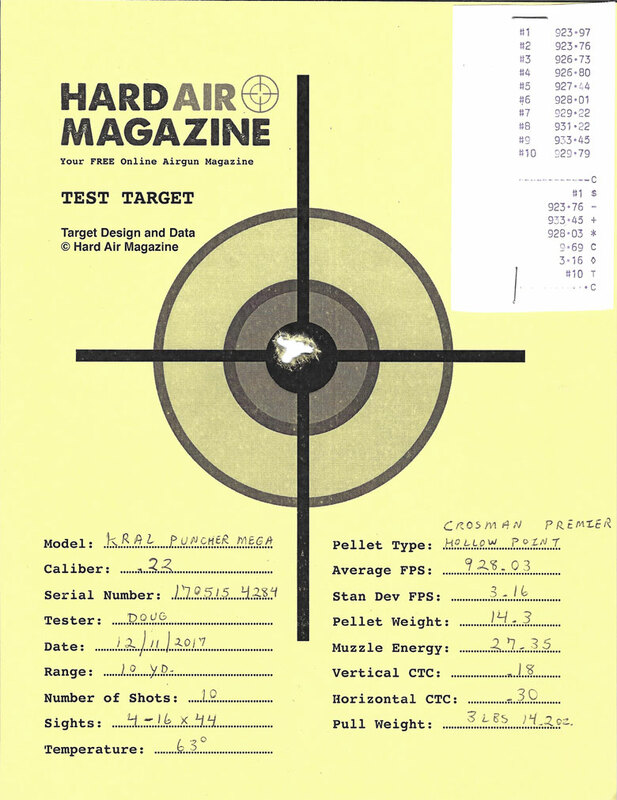 The .22 cal gun tested by HAM has 12-shot magazines. The capacity is 14 shots in .177 and 10 shots in .25 caliber. The HAM Team is very happy to see that the Kral Puncher Mega is fitted with a pressure gauge on the underside of the gun, just ahead of the trigger. This enables pressure to be checked easily and safely, without the need to look down the barrel – the frightening process required with most end-mounted gauges. Adjustable power is an option, courtesy of the side-mounted, knurled knob. However, we left the setting on “Max” for HAM testing, as usual. 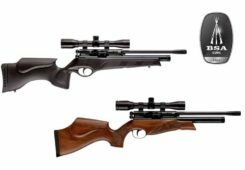 Unfortunately, the Kral Puncher Mega does not have an adjustable comb to the stock, as is becoming common with most air rifles in this price range. 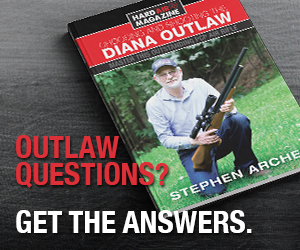 HAM Publisher Stephen Archer feels that the “part length” shroud may be the reason for this. He finds it unbalances the look of the gun. Overall, “workmanlike” is the term that comes to mind for the appearance as well as the finish. With some careful use of fine grit sandpaper, wire wool and kitchen towel, together with the application of multiple coats of oil finishing, the stock has the potential to look really, really good! The Kral Puncher Mega is distributed in the USA by Air Venturi. 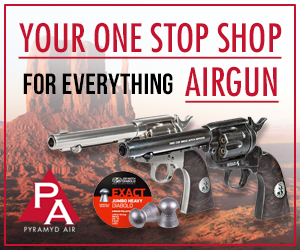 This means it’s easily available online from major dealers such as Pyramyd Air and Airgun Depot. 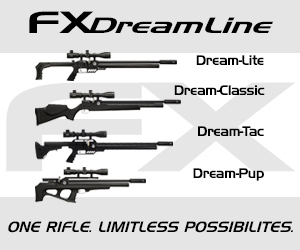 However, as with most PCP air rifles, you’re unlikely to find it at your local big box sporting goods store. There’s a 12-month limited warranty provided by Air Venturi. This used to be the standard warranty period for PCP air rifles. 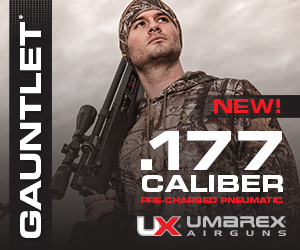 However, it’s now seriously out-gunned by the 3 years offered by Umarex with the Gauntlet and 5 years by Crosman and Gamo for some of their models. The Kral Puncher Mega is supplied with two magazines and a single shot tray. This is good, although – as mentioned elsewhere – the single shot tray is really only usable by right-handers. Additional magazines are fairly-priced at $19.99 each. Filling the Kral Puncher Mega with HPA is a mixture of good and bad. First the bad. It uses a fill probe, instead of a regular “Foster” fitting. If you have several PCPs already, it’s yet another, different probe to keep separate from the others. It’s also easy to pick up dirt and dust on the probe, if you’re not careful. 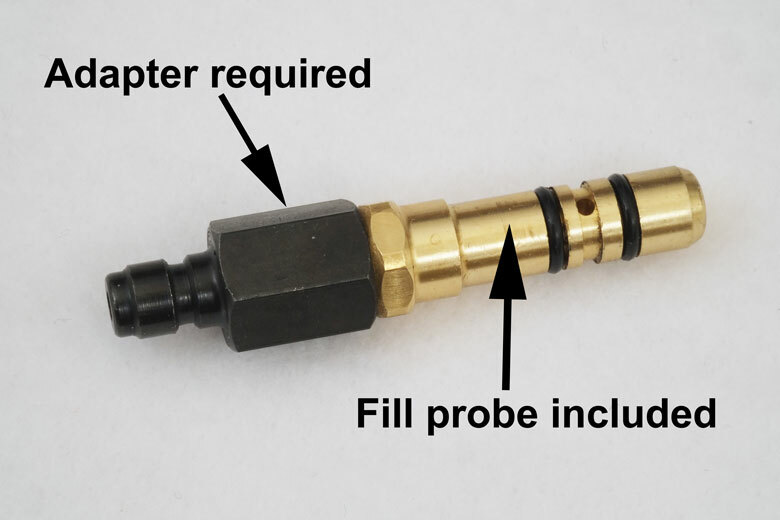 On the upside, the fill probe was easy to use – once we had acquired an adapter allowing it to fit a regular female 18-inch NPT quick disconnect. The Kral Puncher Mega also has an excellent fill port cover that rotates to keep the port covered when its not in use. Another benefit is the low-ish, 2,900 PSI fill pressure. 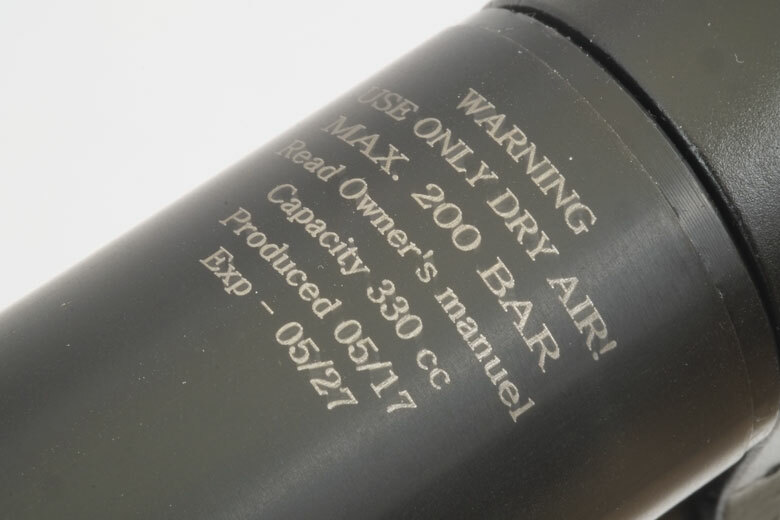 If you’re using a hand pump to fill the gun, every 100 PSI less to fill is important. If you’re filling from a tank, you might squeeze in one additional fill from your tank compared to a PCP with a 3,000+ PSI fill pressure. The instruction manual supplied with the Kral Puncher Mega is a “generic” one, covering all the models in the Kral airgun range which are currently imported into the USA. It is quite well written and illustrated, clearly explaining many of the normal features of the gun. It is, however, only in English. One useful feature of the Kral Puncher Mega is the ability to add a short Weaver/Picatinny forearm rail under the stock. 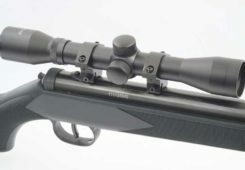 This is supplied with the gun and would be useful for mounting a bipod – for example – to support some of the gun’s weight. You’ll need a 5mm Allen (hex) wrench to attach it. The warning about using only dry air is entirely justified and correct. However, the HAM Team had concerns about the “Exp” date. Does that mean that the gun is unusable after a 10-year life?